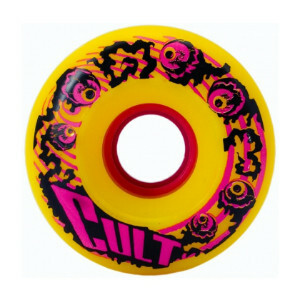 Cult Wheels. Join the Cult! 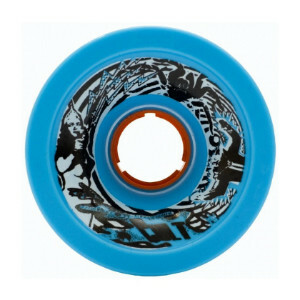 The ultimate downhill wheels for sliding, grip and high roll speed. 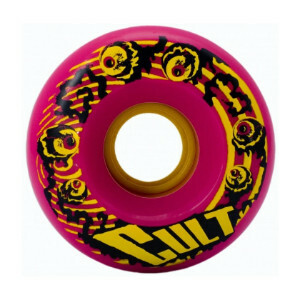 Manufactured with PSYCHATHANE, a trademarked Cult formula allowing for high rebound and strong wear pattern that react faster and are perfect for drifting and grip control. Classic wheels are manufactured with MYSTOTHANE and are perfect for smooth slides.